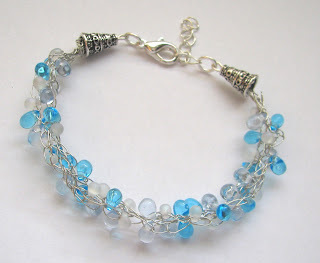 This cute bracelet wad made for my mom’s birthday … Made of different sizes of seed beads, blue, metal and transparent. 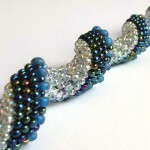 The clasp is made of an 8mm firepolish bead. 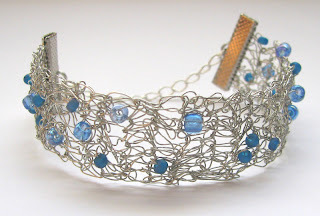 The pattern was taken from Bead&Button magazine. This bracelet is made of 6mm opal opalite round gemstone beads, black metallic round beads and gold delicas. It has a silver toggle clasp and is very gentle. 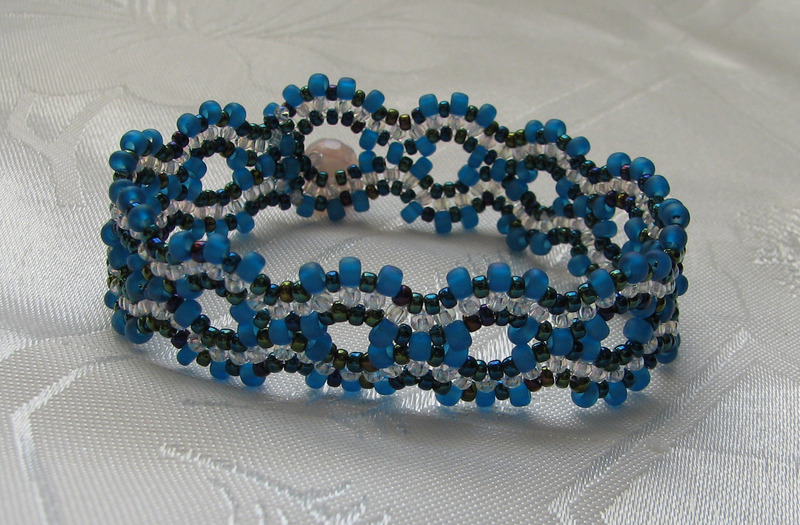 I made this bracelet with bugles and metallic seed beads.